The 2nd Delhi International Queer Theatre & Film Festival (DIQTFF) will be conducted on Dec 10 & 11. The festival organised by LGBT youth support group Harmless Hugs & Love Matters is considered to be one of the biggest LGBT theatre & film festivals in North India. Out of 200 submissions received, the two day event will screen around 15 selected national & international films. The line-up also includes a photography exhibition on LGBTQ issues and 6 Queer Plays offering striking reflection of gender diversity. This year, the biggest highlight is going to be the presence of Piyush Mishra who will be the Chief Gust at the festival on Dec 11th. Piyush Mishra,An award-winning actor, lyricist and also singer, Mishra has worn many hats. But speaking for and with the LGBT community would be a first for him. Mishra will be heard addressing the audience and sharing some nazmein to pay his respects to the community. Oxana Chi and Layla Zami ,German-French queer couple who present their story through performing arts. 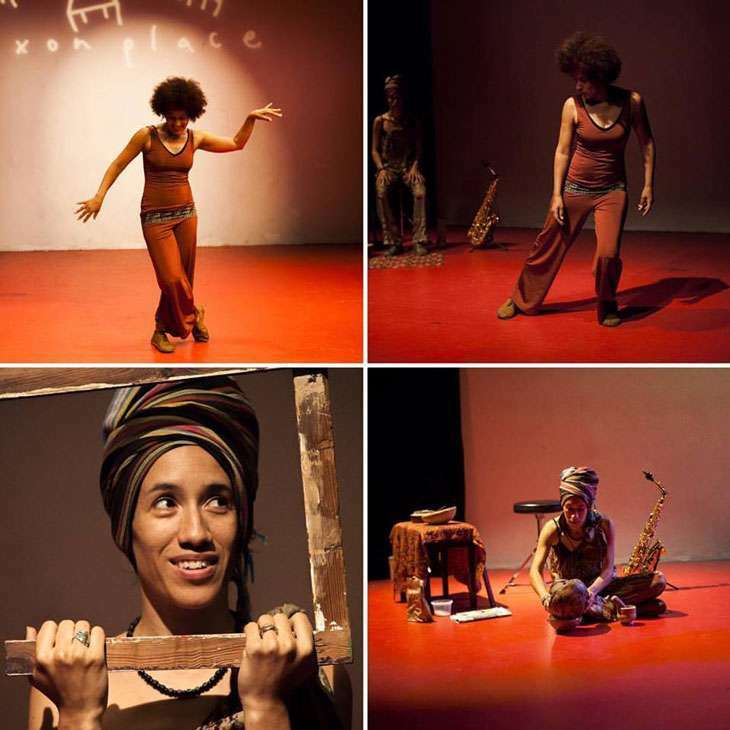 I Step on Air is a dance-theatre-music performance inspired by the Afro-German activist May Ayim that the couple performs with the use of dramatic expression, innovative live-music, and witty but empowering text.